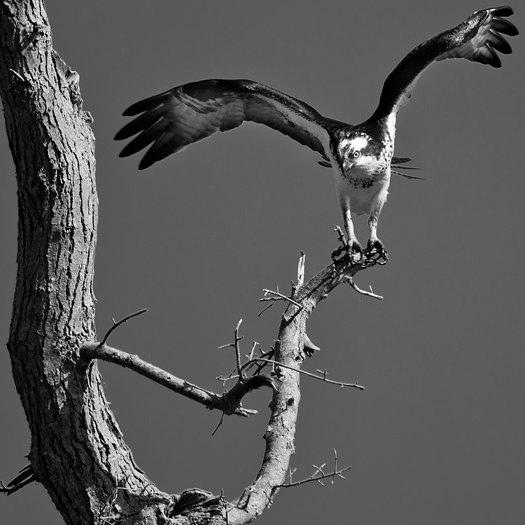 I thought the Osprey would look good in black & white, especially standing out on the limb of a dead tree. 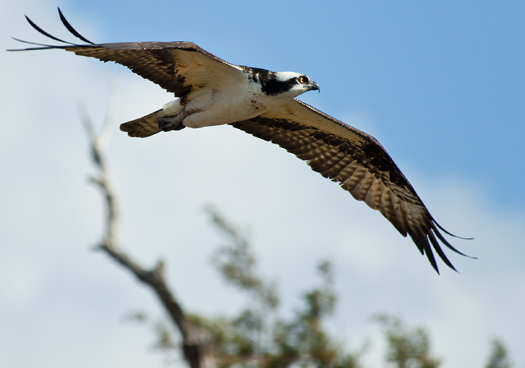 Ospreys are very busy now preparing their nests for soon to be laid eggs. 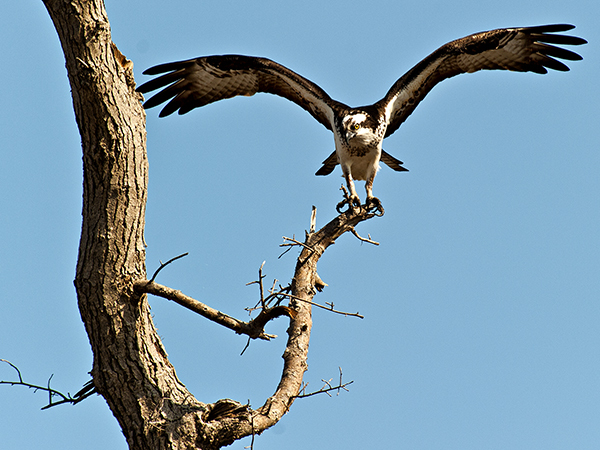 They work on their nests then raise their wings and step off into the breeze effortlessly to gather more nesting material. 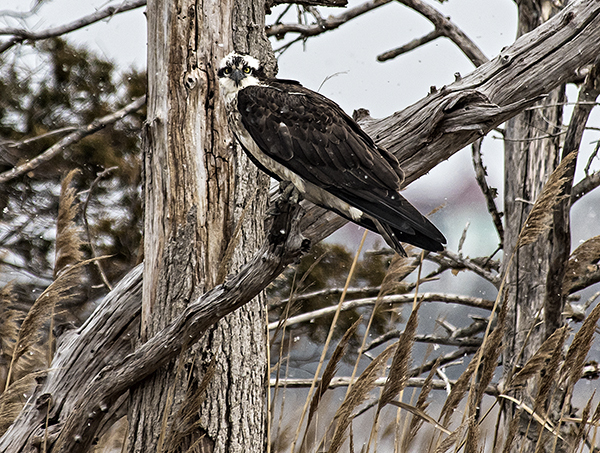 After a demanding day I detoured to the marsh on my way home from work today and was rewarded with an Osprey landing in a tree. 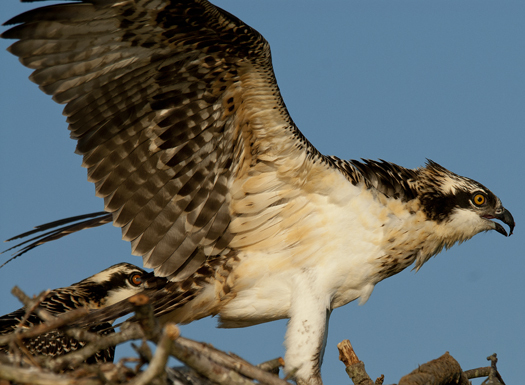 Ospreys are tending to nests now with eggs and young to come as spring marches forward. I’ll be sure to stop here again. 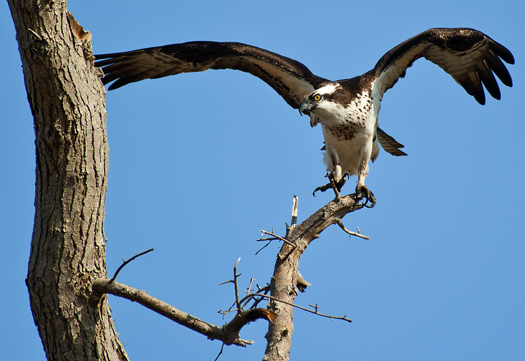 I saw my first Osprey of the year today along the canal in Lewes. 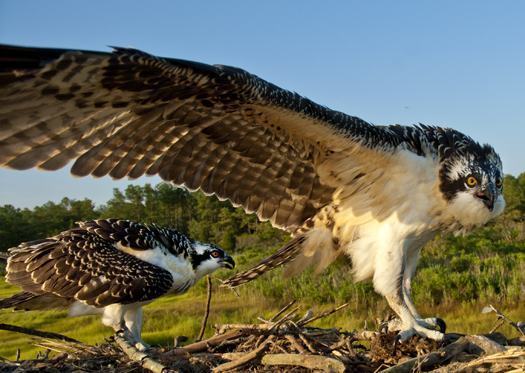 This is a photograph of two young ones from a few years ago to celebrate the return, a true sign of spring here at the Delaware coast. 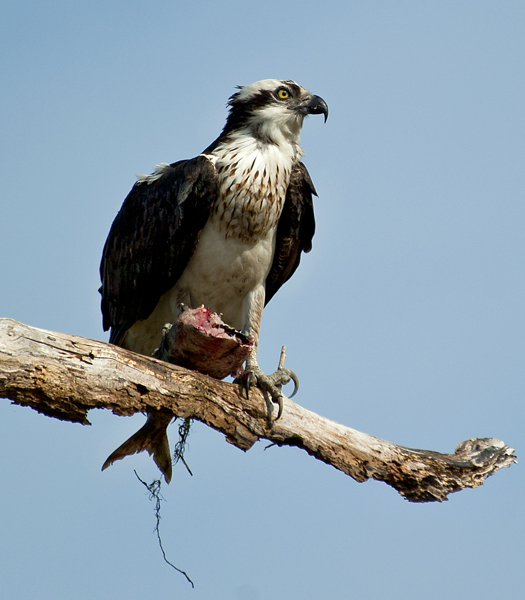 Osprey are also called fish hawks and sea hawks, and they are very successful fisherbirds. This one had a nice catch in a breakfast nook yesterday morning in Primehook National Wildlife refuge. 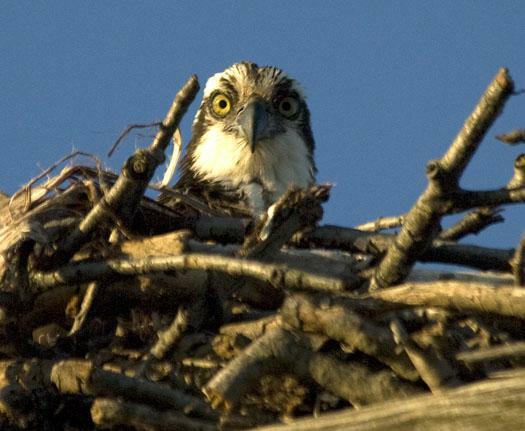 It’s hard to believe but many nesting birds are at the point that the young are leaving their nests. 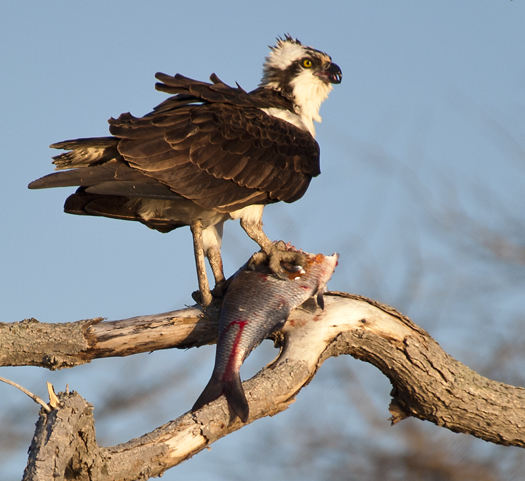 Here is an Osprey on one of the last days nest-bound.